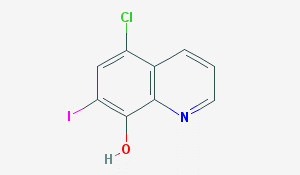 This compound belongs to the hydroxyquinolines. These are compounds containing a quinoline moiety bearing an hydroxyl group. Application Used as a topical antifungal treatment.